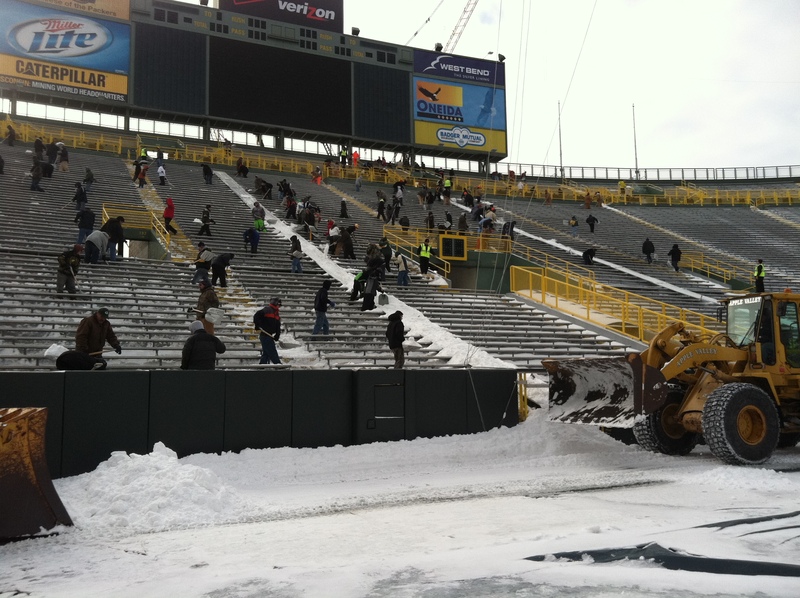 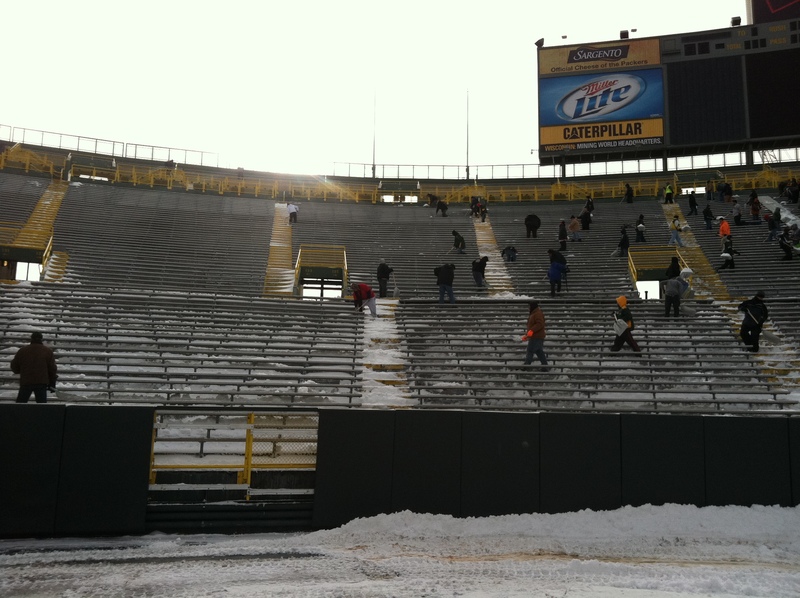 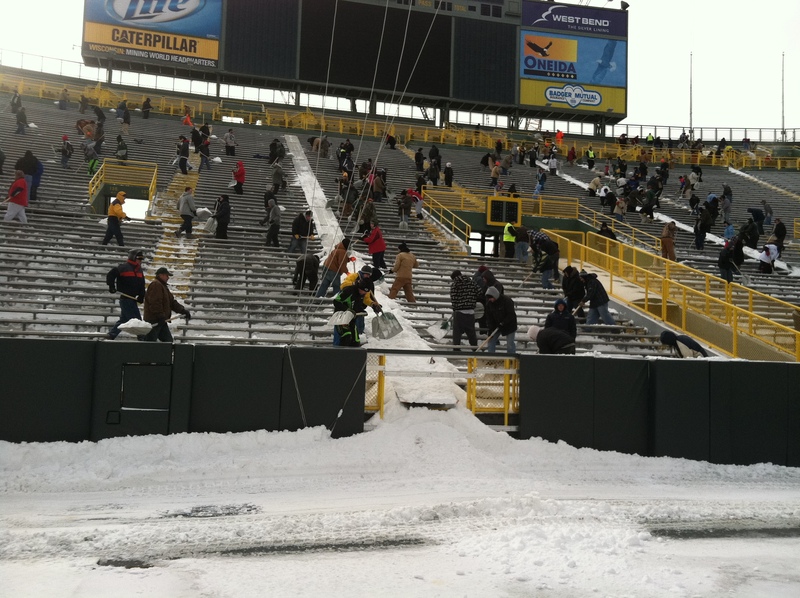 Scenes from the snow shoveling today at Lambeau Field. 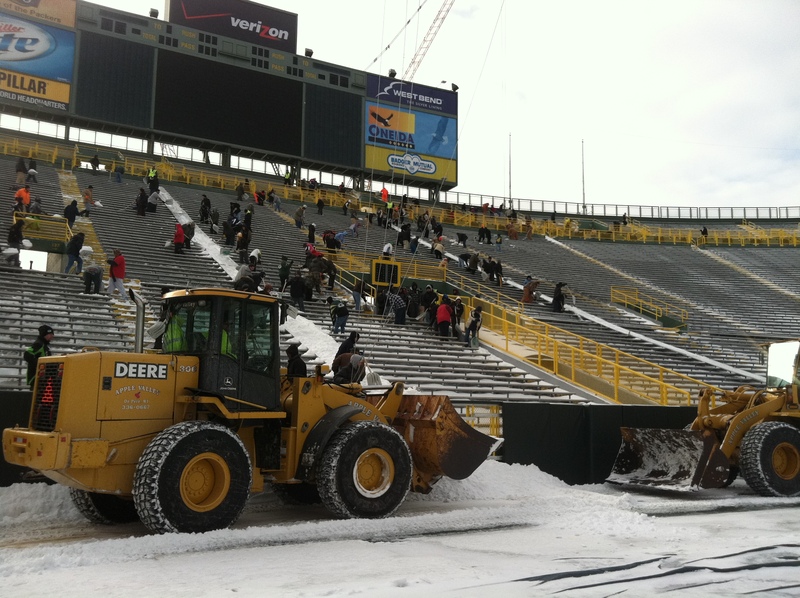 Nearly 500 people showed up to help with the effort, with the Packers providing the shovels and each person being paid $10 per hour. 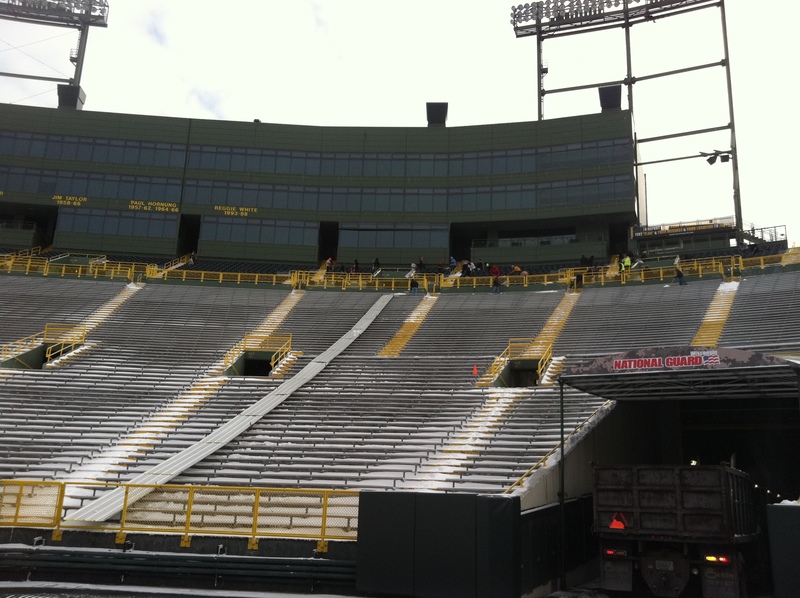 There were still flurries in the air, temperatures were around 20 degrees and winds between 15-20 mph. 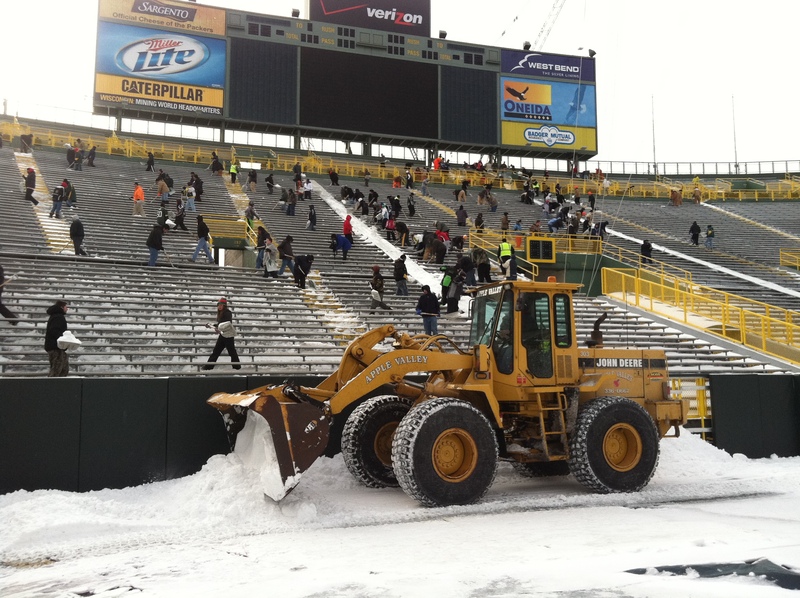 The first winter snowstorm of the season in Green Bay hit Thursday, which is very late for the area.